As a younger person encountering the bible story of Noah and the great flood I always wondered at all the neighbors who ignored his warnings for decades and only mocked him. Naively I asked myself, "how come no one listened to him?" Now I am watching a similar sociological event. Oil company scientists recognized decades ago that the rapid release of CO2 from fossil fuel emissions would overload the natural carbon cycle the planet has been used to for a billion years. Their bosses told them to shut up and prepared an alternate, non-scientific propaganda campaign. Most of the humans in the world live near the oceans. Because of our inability to agree on preventing this, the oceans will inundate great cities and poor countries around the world. Conservative groups, who by definition of conservatism resist change, refuse to believe scientific warnings and label them alarmists and "chicken littles." They prefer the oil company propaganda. 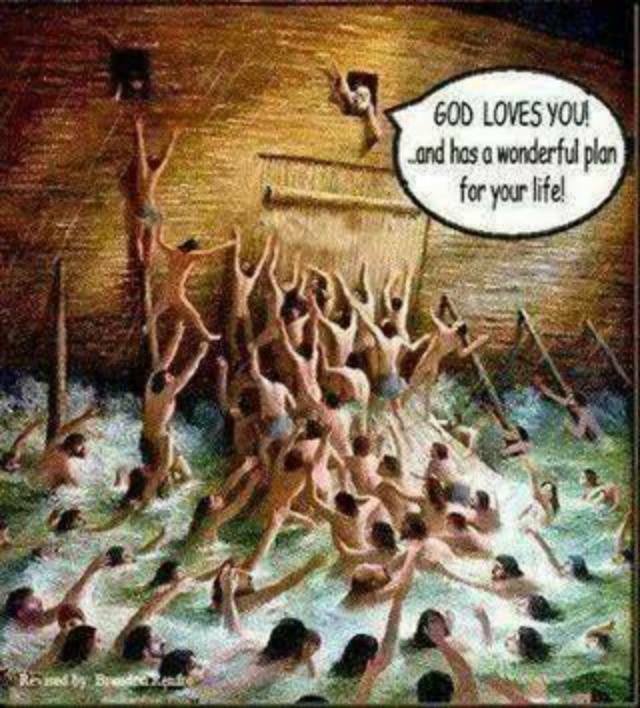 Now I understand how the Noah story so accurately portrays humanity. Look what will happen to your city here. Because I think loving my neighbor is how I love God, I think climate change is a very serious justice issue that demands my attention.